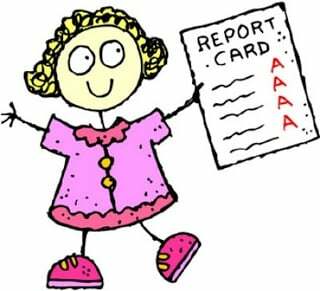 Rewards For Good Grades: Good Idea Or Disaster Waiting To Happen? Now, on the face of it, rewards for good grades seem like a win-win situation on both sides: you ensure that your son or daughter are keeping up academically, and they get rewarded for their actions. And providing an incentive for good grades is not exactly a new invention: it’s probably been going on as long as parents have been getting report cards. However, many psychologists think that paying for grades, or providing other extrinsic rewards for academic performance is a mistake, setting the stage for poor attitudes towards school and actually a decrease in academic performance over time. Are they right? Or do rewards for grades actually motivate kids effectively? We discuss in this post. There have also been many studies where rewards correlate with negative consequences (like this review paper from Grand Valley State), while other studies would argue that rewards are what allow students to achieve their goals (like this one from Harvard University and Edlabs). But as it turns out, we may not actually be talking about the same thing. So in order to better understand both the advantages and disadvantages of having rewards, let’s take a look at the two different types of rewards students can receive. If you are a parent, then this is probably what you use the most in terms of rewards. Extrinsic rewards relate to physical or tangible items that are awarded to a student for recognition of accomplishments. Most of the time, students are aware of the extrinsic award that they will achieve and will work towards accomplishing their goals for that specific purpose. Examples of these types of rewards would be studying for a test in order to get an ‘A’, or competing in a triathlon in order to get a trophy. They are driven by the desire or motivation to gain something in particular, or even to avoid a negative outcome. Intrinsic rewards, on the other hand, are driven by the desire to engage in a behavior because it is personally rewarding. There is no tangible item that the student can gain from performing an activity; their self-motivation and emotional well-being is their reward. Some examples of intrinsic rewards would be helping build a house because you find it brings joy to you, or playing an educational game because you find it challenging and exciting. These examples show an internal motivation to participate in an activity for its own sake. Extrinsic rewards can facilitate a student’s interest in something that they originally did not have interest in. It allows the student to acquire new skills and knowledge, which can eventually lead to intrinsic motivation if the student continues to pursue the activity. Extrinsic rewards can also be seen as a form of positive reinforcement; it is a way for students to understand that their performance is adequate or deserving of praise. According to one study conducted by a Cornell professor, C. Kirabo Jackson, students who are rewarded for earning good grades on AP tests tend to score higher on the SAT and choose to attend college at higher rates than those who are not rewarded for grades. Intrinsic rewards on the other hand, have long-lasting effects, and are generally self-sustaining. It gives the student a sense of meaningfulness and accomplishment for learning to master a certain subject, skill, or activity. Students who have intrinsic motivation do not place much emphasis on grades or physical rewards, but rather on their genuine interest on the matter at hand. This allows them to think outside the box and use their creativity as they further develop their passions or interests. Extrinsic rewards are generally effective for short-term goals only, and can often distract students from fully learning or understanding the subject at hand. The rewards also need to be consistent and increased during certain times in order to work. Often, teachers have found that once tangible rewards were removed from situations, students lose their motivation and interest. According to a study by psychologist Edward Deci, this can have a negative impact on a student’s intrinsic motivation. Deci divided college students in two different groups, and asked them to complete a puzzle. One group was paid, and the other was not. Deci found that the paid group did not continue to solve the puzzle once the experiment ended, whereas the unpaid group continued. 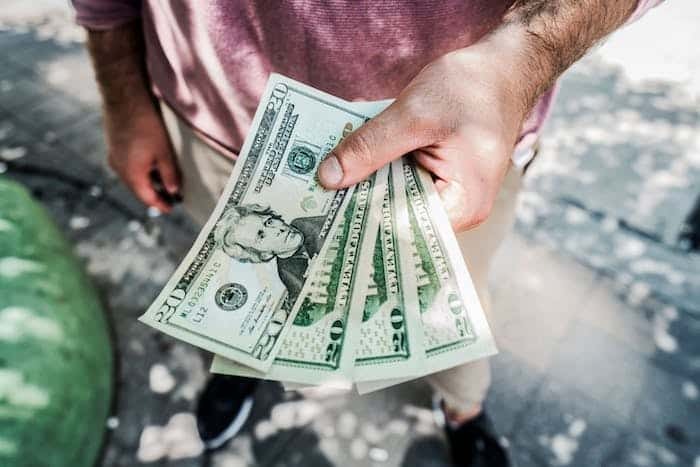 He argued that receiving a monetary or extrinsic reward can reduce intrinsic interest, or even prevent students from forming intrinsic interest altogether. Now on the intrinsic rewards side of the story, although they yield very little disadvantages, they do require more preparation and can take time to develop. Each student is an individual, and finding what will intrinsically motivate them can be tricky. This may involve getting to know the student’s interests and figuring out ways to connect those interests to the material. Teachers must also be passionate and enthusiastic about the subject themselves; this is key when sparking intrinsic motivation in students. Should We Still Be Rewarding Kids For Grades? Rewards are often necessary when it comes to helping students achieve their academic goals; however, they must be used correctly and in moderation in order to be effective. Extrinsic rewards can be beneficial if teachers and parents understand that it is for a short-term goal, and that the student will most likely only be temporarily interested in the material. Although in some cases, extrinsic motivation can lead to intrinsic motivation, where students look forward to earning intrinsic rewards. It is true that it may take time to achieve those intrinsic rewards, but the results will show long-term effects and can often build a student’s character. How do you handle this situation with your son or daughter?